Marijuana is not legal nationwide, so travelers need to beware that they are subject to local laws wherever they land and that planes themselves are subject to federal law. 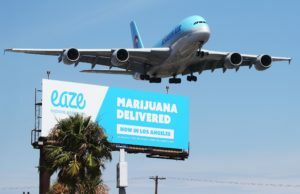 With 61% of Americans supporting the legalization of marijuana, LAX’s travel change provides an illustration of the growing movement to normalize and accept personal marijuana use. Learn more about the status of the legalization of Marijuana in New Jersey as well as your rights to travel by contacting the attorneys at Daniel M. Rosenberg & Associates, LLC.